I love the Italians! Not only do they know how to live passionately, but they also rock on the green vegetable front, especially when it comes to bitter greens. One of my favourites is puntarelle or catalogna – a loose leafed variety of chicory favoured by most Romans, also referred to as Catalonian or asparagus chicory. 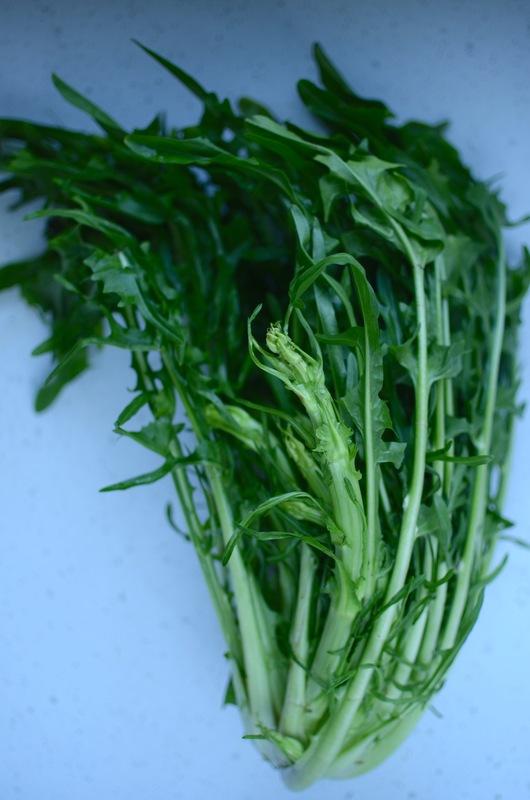 The word “puntarelle” actually refers to the pale green inner stalks that have asparagus-like tips, whilst the outer leaves are similar to dandelion both in taste (they are very bitter!) and appearance. If you would like a step-by-step tutorial on how to prepare this vegetable, Nick Anderer explains it all here. For a quick overview, I’ve included the steps below. This fabulous vegetable is only in season in the colder months, but with Easter a little earlier than usual, perhaps this salad will still be a possible addition to your festive feast! It will be equally good with dandelion greens, chicory and radicchio, however, if you cannot find puntarelle. Rub a little olive oil into the meat, then place into a shallow glass dish and press the rosemary and garlic on top. Allow to marinade for a couple of hours, then remove the rosemary and garlic, season with salt and pepper, and fry on a griddle until cooked to your liking. Set aside to rest for 10 minutes before slicing. Fill a large bowl with ice water and set aside. Strip away the dark green outer leaves – you will only need a handful of these to add to the salad. Use a sharp paring knife to separate the pale green core into its individual stalks, then thinly slice each lengthwise before dropping the slivers into the ice water. They need to soak for at least 45 minutes to achieve the traditional curly crispness that puntarelle is loved for. Place the sugar in a medium heavy saucepan over medium high heat and stir with a wooden spoon until sugar begins to melt. Lower the heat a little and keep stirring until all the sugar has melted. Now leave it to cook untouched until it is a dark caramel colour – you should be able to smell it. Stir in the walnuts and butter, and allow to cook for another couple of minutes, stirring constantly, or until the butter is incorporated. Stir in the rosemary and salt, then scrape the mixture out onto the prepared baking sheet. Spread it evenly to the desired thickness with a wooden spoon or stiff rubber spatula. Allow to cool completely (roughly one hour) then break it into pieces. You will probably have slightly more than you need for this salad, but the rest can be stored in an airtight container at room temperature and will keep a few days. 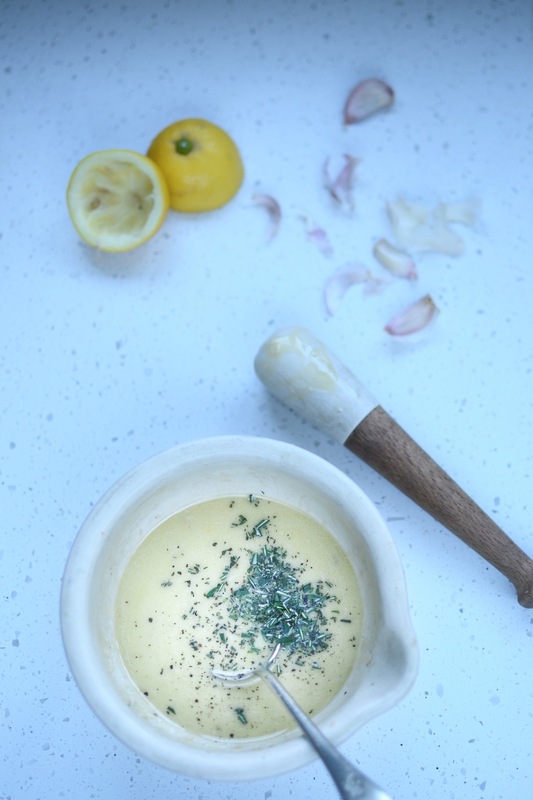 Place the garlic and coarse salt in a mortar and grind into a paste. Add the rosemary and continue to grind until it is well mixed and resembles a speckled pulp. Add the anchovies and repeat until you have a thick paste. Now slowly whisk in the olive oil until it is incorporated, followed by the mayonnaise and lemon juice. 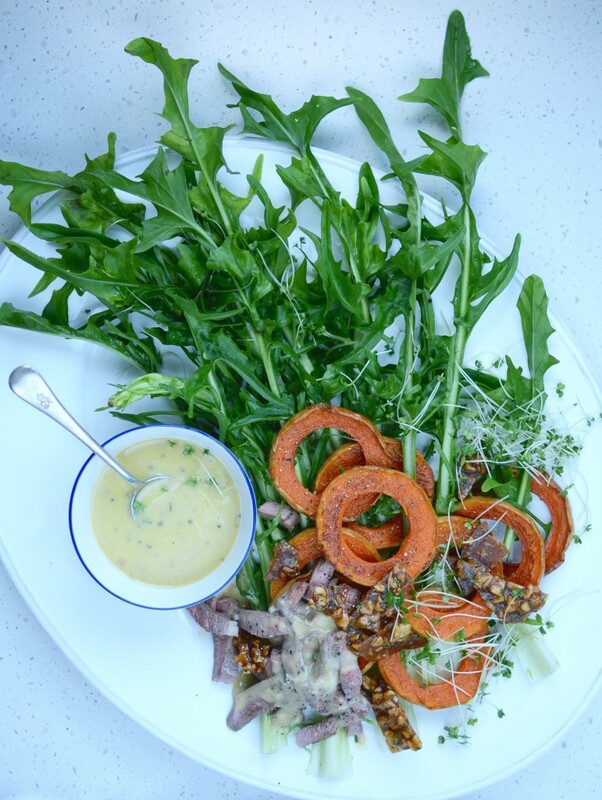 To assemble your salad, combine the sliced lamb, roughly chopped puntarelle greens, drained and dried puntarelle stalks and roasted squash, and toss with enough dressing to coat. 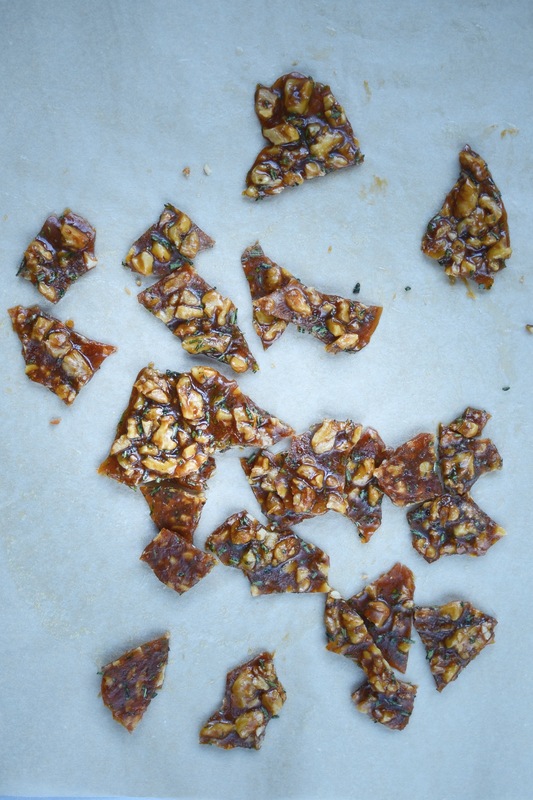 Scatter over the brittle and serve immediately.